Highlanders appear unfazed by the recent speculation linking their technical manager Madinda Ndlovu with the vacant coaching post at Botswana's beMobile Premiership side Jwaneng Galaxy. Galaxy who finished in second place last season, recently parted ways with their Serbian coach Zlakto Krmpotic after he is alleged to have made demands out of the reach of the club. Contacted yesterday, Highlanders chief executive officer Nhlanhla Dube said the Bulawayo giants will not be making any comments regarding the issue. However, according to the Botswana Gazette, there is a high chance Galaxy will try to lure the former Warriors and Bosso forward back to Botswana. "Madinda (Ndlovu)'s name has been mentioned. It appears that the management is willing to give him a try. We expect them to make official contact with him this week," a source inside Galaxy told the publication. "He has always been in constant talks with the chairman, and I think he (Ndlovu) must also be aware that Galaxy is looking for a new coach. "Before Krmpotic was hired Ndlovu was bound to replace Mike Sithole, but other members of the Executive Committee preferred someone who would help the club in the Caf Confederation Cup, hence why Zlakto was hired. Ndlovu knows how to navigate his way around the beMobile Premiership after he had spells in that country with Township Rollers and Mochudi Centre Chiefs. In order for Galaxy to lure Ndlovu back to Botswana, it will be a huge task because he arrived at Highlanders at the start of the year after leaving Orapa United in Botswana. 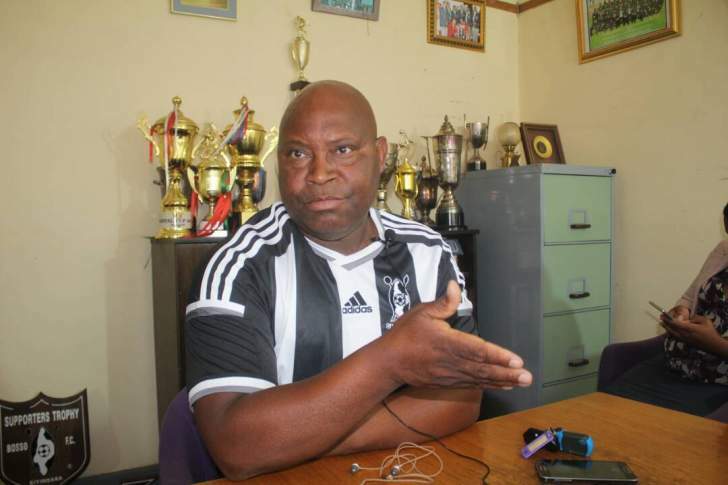 At Bosso, Ndlovu replaced Dutchman Erol Akbay and was tasked with rebuilding a new side using some of the Bosso development players from the junior teams. As a result, Ndlovu showed the exit door to a number of senior players like Eric Mudzingwa, Njabulo Nyoni, Tendai Ngulube and Simon Munawa upon taking over at Barbourfields Stadium. The new-look Highlanders side now has such players like Adrian Silla, Brian Banda, Nigel Mukumbe and Ben Musaka as its core group. It will be highly improbable for Ndlovu to leave for Botswana at this critical and early stage of his Bosso reign. Speaking at his weekly press conference last week, Ndlovu told Zimbabwean media that he is fully focused on his Highlanders project and is looking forward to this weekend's clash against Dynamos. At the moment, Bosso are in fourth place on the Castle Lager Premiership log standings with 35 points from 20 matches and trail log leaders and defending champions FC Platinum by 21 points. "Any position we finish in is acceptable. Our mandate and focus right now is to see whether we are moving in the right direction," he said. "There is nothing that I would want to achieve more after the elections than to celebrate a win against Dynamos. "I would be greatly disappointed to lose the game more than I was against Bulawayo Chiefs, as this game has a lot at stake for our fans." Even the Galaxy insiders are acknowledging that their pursuit of the Highlanders gaffer will be very difficult. "It is some kind of difficult situation, because Madinda is still under contract with Highlanders and the season in Zim is currently on at this moment, so there is a good chance that he might not move during this period, unless he terminates his contract, but it is never an easy thing to do," the official told Botswana Gazette. "We expect an announcement to be made soon, especially that we are almost in the last stage of pre season, but we expect to have appointed a new coach before the season starts." Besides Ndlovu, Galaxy are believed to be also eying their former coach Oris Radipotsane and Drago Stanojlovic.